So, one of the very cool things about running a music blog, I am learning, is that it can be like Christmas every day when I check my email! People from all over have sent me music I need to hear. This is an indescribably wonderful thing. 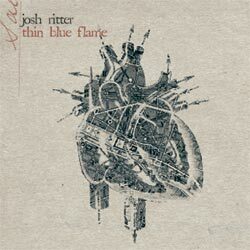 A few days ago a kind and enthusiastic soul named Adam emailed me the new Josh Ritter track, Thin Blue Flame. It is from Ritter's new album, "The Animal Years," due out in Spring 2006. Josh Ritter is a new name for me. Other than seeing his work on a Putumayo American Folk compilation CD (You Don't Make It Easy Babe), I had not heard him before, so this was a treat. Josh Ritter is a singer-songwriter from Idaho who has been steadily building acclaim for his quality releases over the past few years. Critics have compared his work to the “sparse elegance of Nick Drake’s Pink Moon, the gritty passion of Neil Young’s Harvest, and the melodic charm of Cat Stevens’ Tea for the Tillerman.” I recently read an interview with Cameron Crowe that said Ritter was favored to be on the Elizabethtown soundtrack (along with many other excellent artists, as Crowe is best for), but unfortunately ended up being left off. 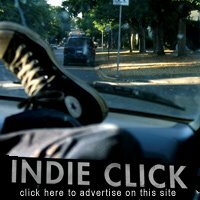 Ritter is signed with V2 Records (the White Stripes, Grandaddy). I heard my friends laughing out across the fields . . .
Cicadas electric in the heat of the day . . . The lake was a diamond in the valley's hand. "(sir caters) electric in the heat of the day"